Current clamp on Qube 384 combining voltage- and current clamp in same protocol. 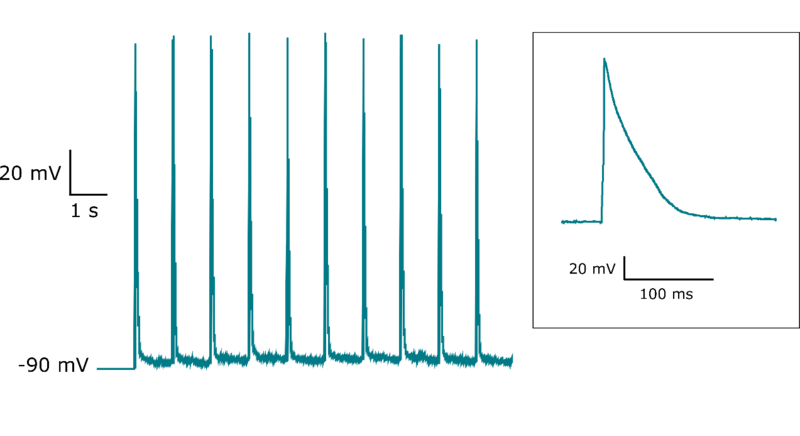 Induced action potentials in mouse atrial cardiomyocytes, HL-1 cells. 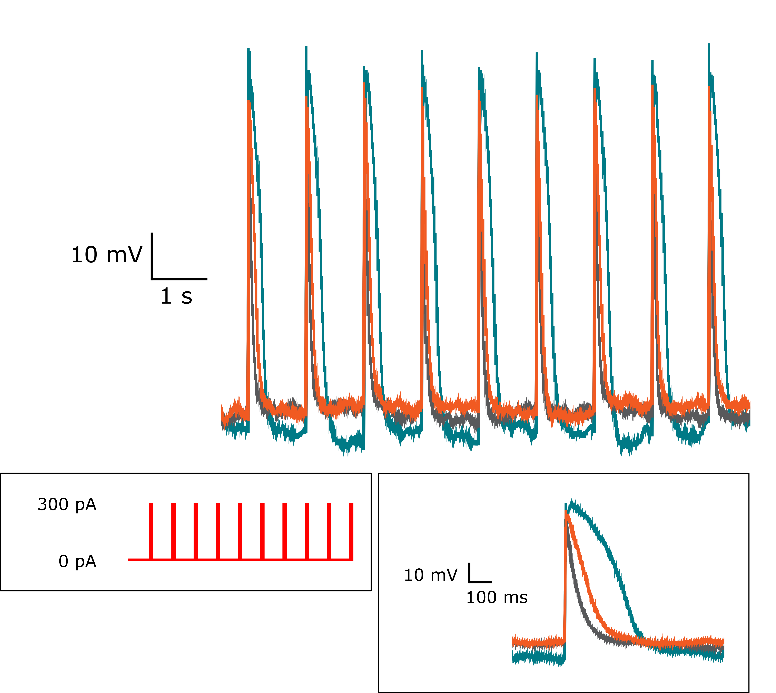 Cells were held at 0 pA holding current and paced at 1 Hz using 300 pA current injections (3 ms duration) under control conditions (green trace) and in the presence of 100 nM (orange) and 1 µM verapamil (grey). 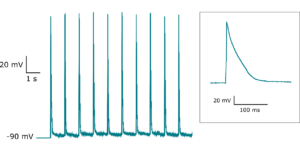 Inserts show a single action potential on an expanded timescale and current protocol. Qube can also carry out current clamp experiments. All 384 sites can switch between voltage clamp and current clamp in the same protocol. And multiple protocols can be combined so even including a ligand gated recording is possible in the same experiment. Action potentials evoked in Axiogenesis© COR.4U human iPS cell-derived cardiomyocytes Action potentials induced by current injection pulses (500 pA, 3 ms, 1 Hz). 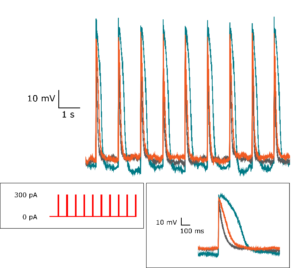 Insert shows a single action potential on an expanded time scale. The holding current between pulses was 0 pA.